I’ve always been an avid watcher of this TV show, probably because it’s the only authentic travel show that features different destinations in the Philippines, plus some out of the country features. I guess I love to travel as well and this is very helpful on where to go for vacation with family, friends or just by yourself. The cast are generally hilarious and quite interesting in their own way when they host the show or a segment. 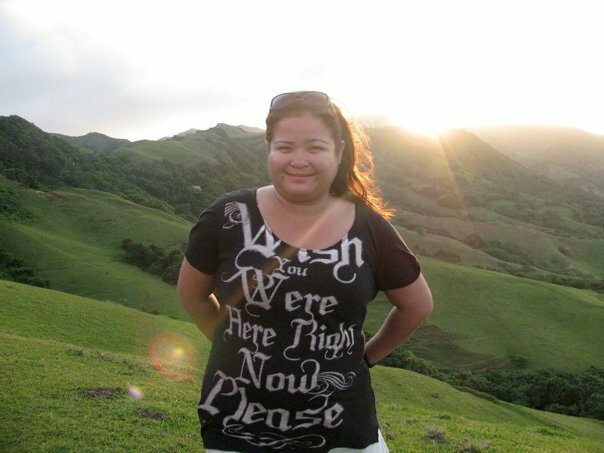 Katkat de Castro is someone you could consider a travel-friend. You want to be with her whenever it’s site seeing or dining in a restaurant. She’s very good in hosting but admittedly, she does need the other guys to help her out just to get away from the formality of the information she’s giving. Jayson Gainza, for me, one of the best hosts of his male counterparts because of his comedic inserts when it’s his time to host a segment. Franzen Fajardo is a bit of a struggle just because sometimes he couldn’t host alone and needed a partner to cover a full segment. But still, the efforts are appreciated. Uma Khouny, though knowledgeable of what he is saying, he may be perceived as a bit of arrogant and diva attitude. To me, it makes his segment less interesting. He’s side comments of people and places tends to be misunderstood as drama queen and very subjective. Sometimes when an episode is shown without him, it makes me enjoy the show all the more. Kian Kazemi is one the hosts that I can really do without. The loud voice when hosting really struck a nerve with me. Ironically, the louder the voice the more I couldn’t understand what he’s saying. I also noticed that whenever he hosts a segment, he appears to be a tad bit egotistical and self-centered, which takes a way the enjoyment. Erick “Boogs” Bugia is one of the fresh faces of hosts for the show and the winner of the search for the new Katriper. I do admire his tenacity and humbleness when it’s his turn to host a segment. Sometimes, he’s even far better compared to the other hosts. The mixture of seriousness and humor does fit him well. And Kevin Lapena, the second runner up in the search for the new Katriper host. Again, the new blood does make it more interesting to watch. He’s looks very sincere and a team-player. In a way I am glad that the new hosts are male which make Katkat still the only rose among the thorns. If I was to comment something negative about the show, it would be the time slot of the show. I have to wait for 1:30am in the morning of Saturday just to watch them. Sometimes, I couldn’t wait for the show anymore because of the time. I know that the show is a block timer and you’d noticed no product ads in the show. This is because this is not part of the network shows, ABS-CBN. The existing commercials are an overkill with the DOT and SSS ads. But let’s face it since the show started in 2006, this show is heavily supported financially. I think the network should rethink on their time slot. There is a huge market of people who will find this show interesting and not just worried about the never-ending tele-drama series. This is a very informative show plus promoting the country and it’s secret gems. Sometimes I doubt if they are maximizing the target market by showing this early in the morning. 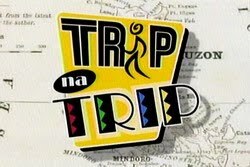 I sincerely wish Trip na Trip the best and more power. Overall, this is really a great show and I hope your show will be well placed so that you can reach more people and they can learn a lot from your show. Kudos mga Katripers!! !